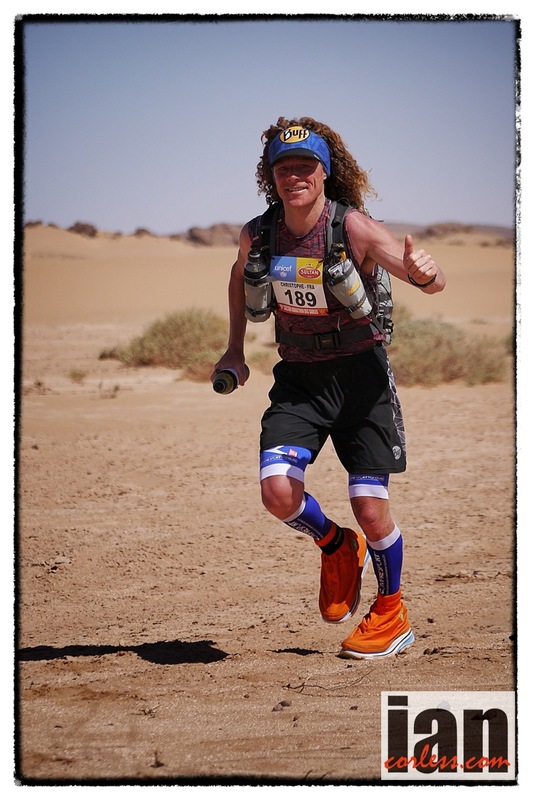 Nikki Kimball is one of the most highly respected ultra runners in the world, Her running CV is beyond comprehension. It all started in 2000 with a win at Escarpment Trail Run 30k at the age of 29. In 2004, Nikki had a break through moment with victory at the iconic Western States. Nikki also won again in 2006 and in 2007 she did the ultra double winning Western States and UTMB in the same year. 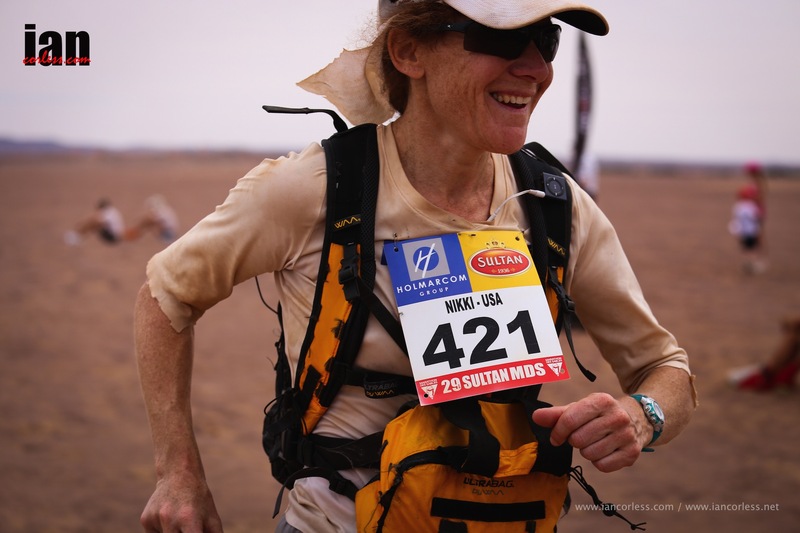 An ever present in the world of ultra running, Nikki has often been referenced as a true pioneer of the sport. 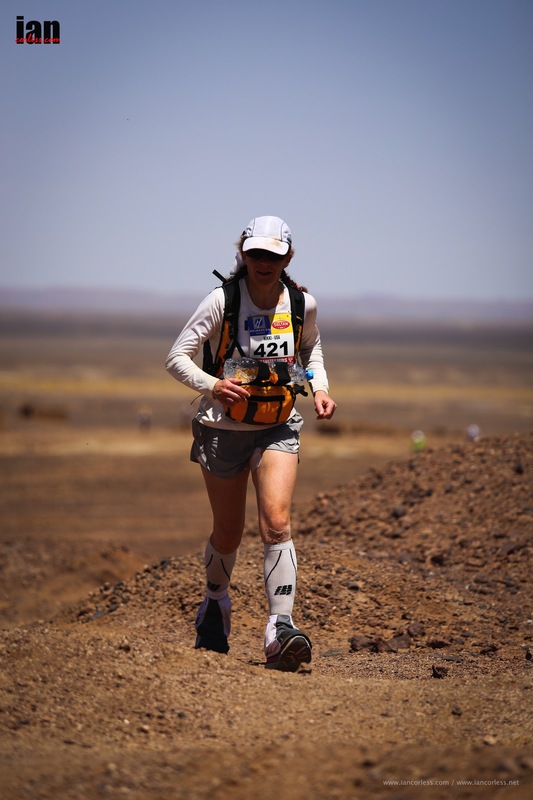 In 2014 Nikki ran the Marathon des Sables for the first time and won! 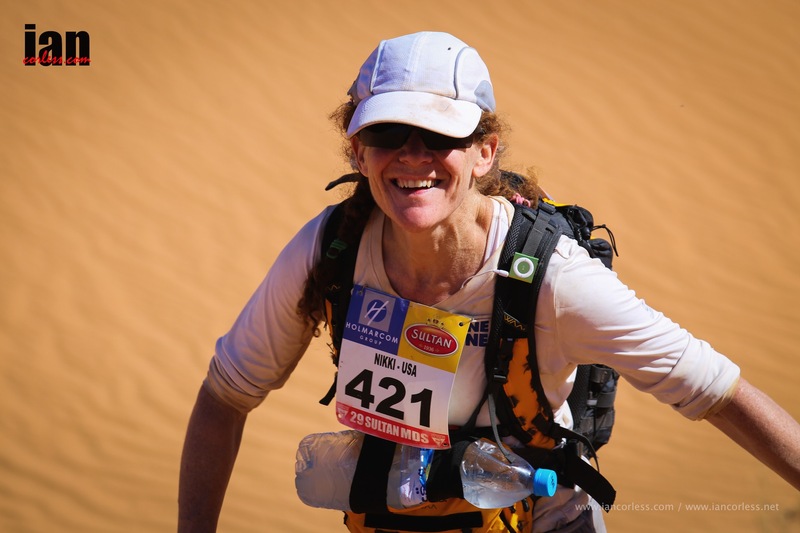 The Marathon des Sables is 30+-years old this year so I wondered, what knowledge could Nikki pass on before the next edition. It’s been a while Nikki, when did we last speak? No, we spent a week together in Morocco. Exactly… April, not that long ago I guess. 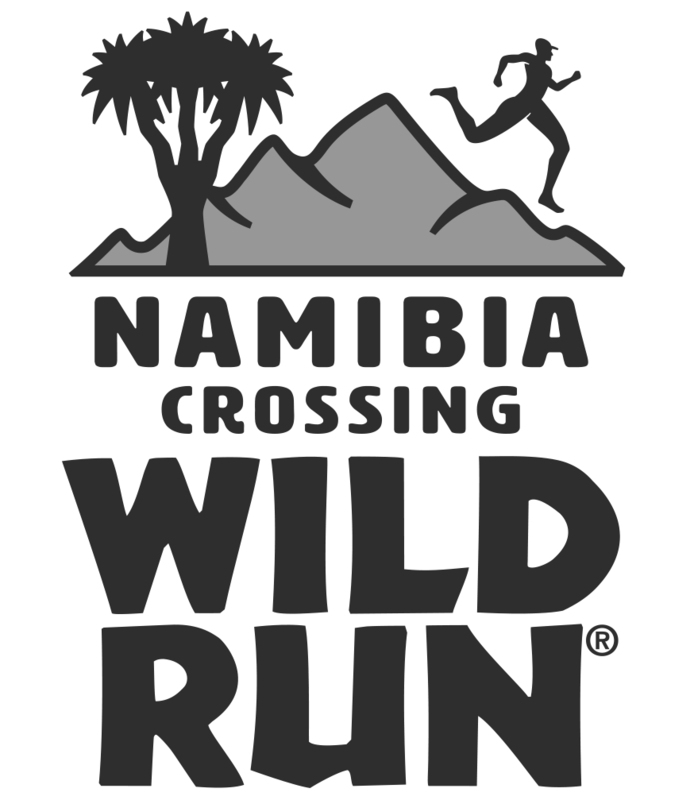 A great place to start: was that your first multi day race? I have done Jungle Marathon in Brazil, very similar to MDS but a lot less comfortable due to humidity. I did that in 2009. You need to carry all your gear just like MDS and I have done Transrockies too which is like summer camp. 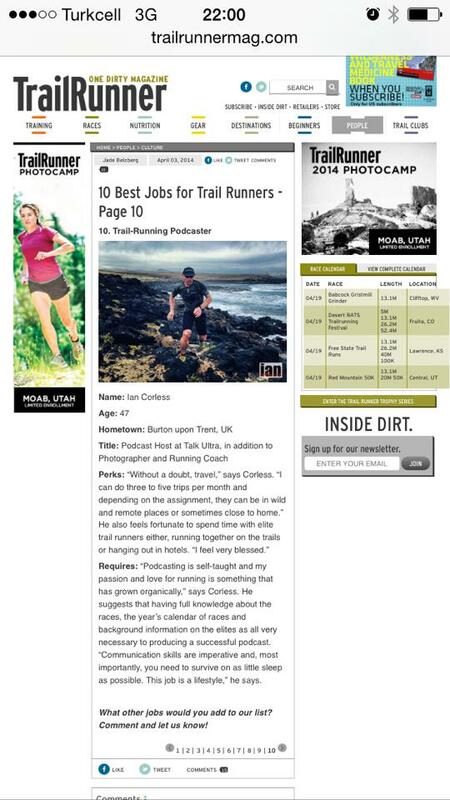 I knew you had done Transrockies but not the Jungle Marathon. Oh yeah, Transrockies is a vacation. 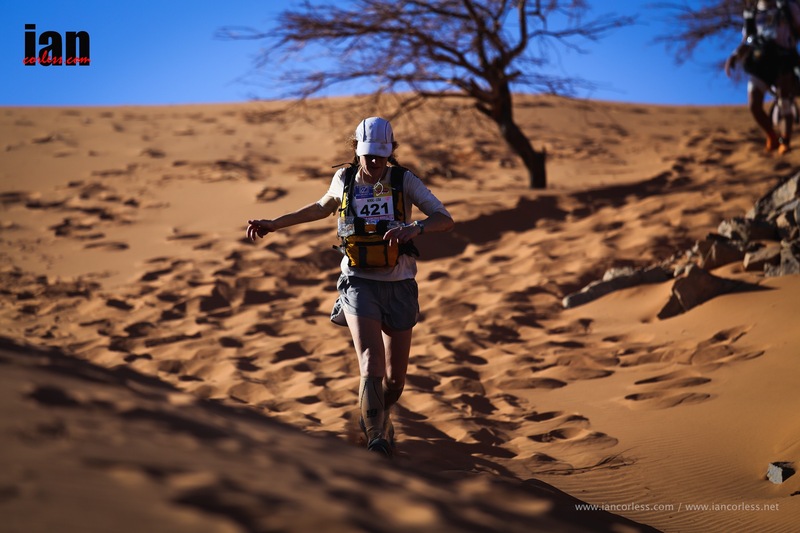 What enticed you to Morocco and MDS, great way to start a year? Yes, I guess. 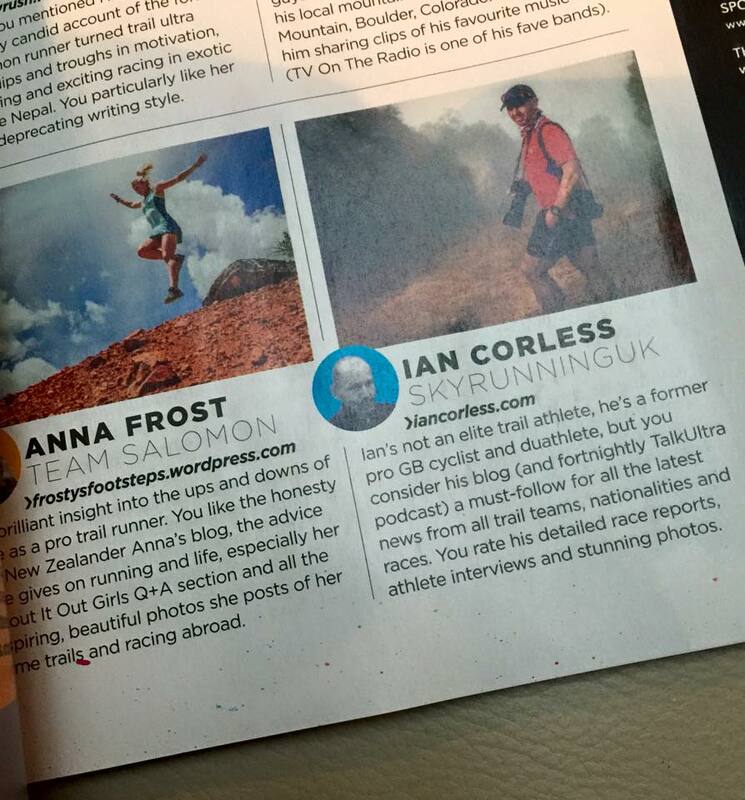 I thought it would be great training for Western States. That was my initial goal. The UTWT helped me get me to Morocco so I must thank them. 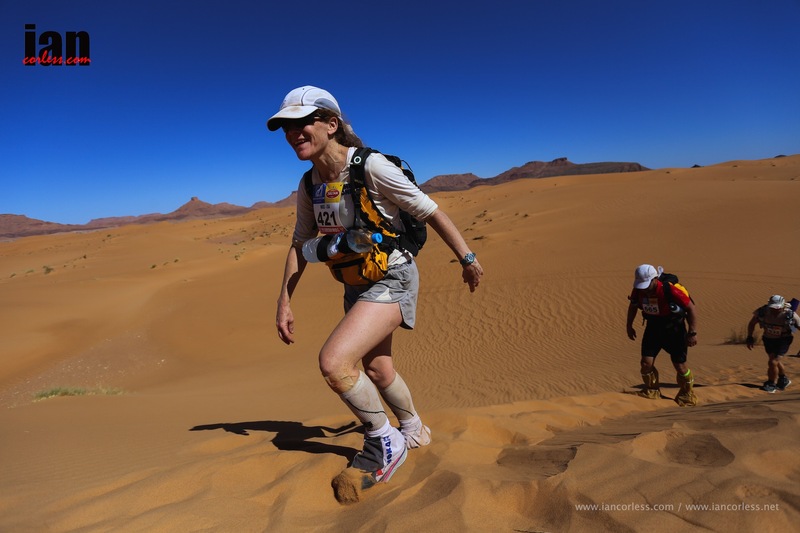 I had wanted to do MDS for some time but the financial side was an issue. I got the opportunity and wow; it was just awesome. It was so much more than what I expected. I was overwhelmed by the race. It is so professional, so impressive it is quite mind blowing. It was an incredible week of running. So many have a perception of what MDS is. From a UK perspective it is an expensive race… USA also. The entry fee is high; I guess travel from the UK is okay but less so from the USA. It costs thousands of pounds and dollars. I am often asked: why does it cost so much? But having experienced it, it is the biggest circus I have ever seen. Oh yeah. It’s amazing. The logistics are amazing. 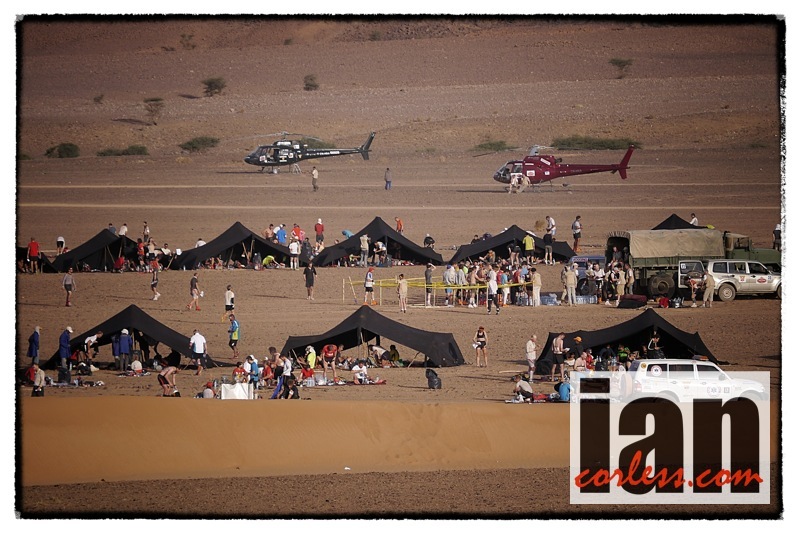 They have full medical teams and so on… There is a good reason why race entry is so much. It is beyond impressive. It is an unbelievable undertaking. From your perspective, the ‘Batchens’ (Lisa-Smith and Jay) are heavily involved as USA agents. Lisa-Smith has won the race. Did you speak with them pre race? Oh for sure. I stayed with them and asked every question possible. So you came well prepared? Yes I think so. I also spoke and spent time with 2013 ladies winner, Meghan Hicks, so, between Lisa and Meghan I was well looked after. They understood the race and they could pass that on. You know, the feel of the race. 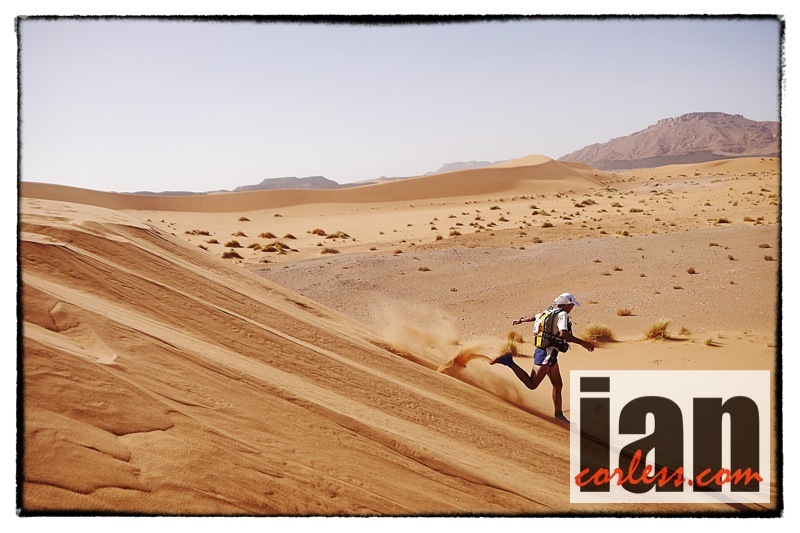 Races have a feel and MDS definitely has a unique feel. Great that you should get advice from the other Americans who have won the race? Oh yeah, we all live relatively close together so it was great. Talk me through the 2014 race. Give me some highlights! Wow, the first couple of days were fun. I didn’t push it hard and I enjoyed the atmosphere. I was kind of having some depression problems prior to MDS. I have major depression anyway and I was kind of not doing too well going into the race. 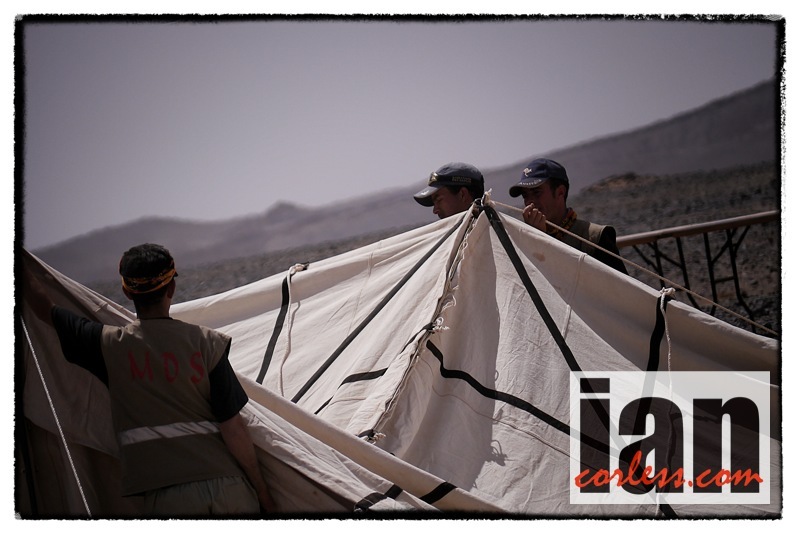 I remember on the first day… I was climbing a dune and I could see nothing but sunshine and happy people. My mood lifted. It was just amazing. The depression broke and it was really instrumental to setting the stage for the race. Day two and three was easy and then I guess it was the long day that I made my move. I had planned beforehand that I would try to win the race that day. Yes I remember pre race when we chatted that you said you would make a push that day. You expected Laurence Klein to be faster on the short days but the long day would play into your skill set and 100-mile experience. I have never had a race go so well. It went perfect. Exactly to plan; easy couple of days and then ramp it up. I’m really happy with how it all went. Did you get nervous early on? You know, thinking that you were giving time away to Laurence or did you have complete confidence? Well it’s a French race and Meghan won in 2013 so I guess they were hoping they would have a French lady back on the podium. You upset the apple cart. Once the long day was done, did you just consolidate? Absolutely! 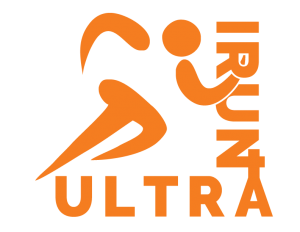 I have just completed sixteen years of ultra running. That is a long time. Once I took that lead on the long day, I knew I had no need to push. I could just defend and race smart. I don’t even know how many ultras I have done… but I know I don’t need to destroy myself. Great tactic. No extra points or extra prestige for winning by more hours. A great lesson for us all here! I knew I had races coming up so I wanted to be sensible. 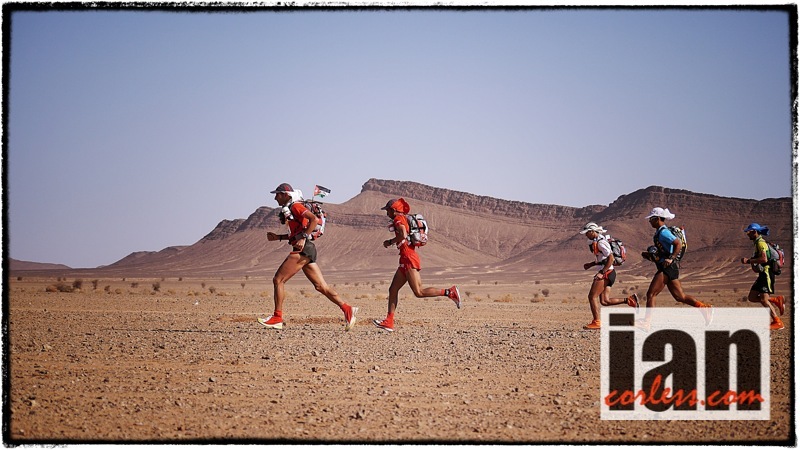 It’s a new year and MDS is not far away… Runners are now suddenly panicking. The race is just months away. So may questions. What rucksack, what shoes, what sleeping bag, what food, tell us about bivouac and so on. What tips do you have for everyone that worked for you? I had a very light sleeping bag and that was all I needed. I was warm in that but I do believe 2014 was a warm year. It didn’t really get cold at night, so, you may need to be careful on that. If you are racing and want to be competitive then weight is everything. You must go as light as possible. I didn’t have a sleeping pad, no luxuries, and no creature comforts. But if you want to ‘complete’ it makes sense to have a few comforts but don’t go crazy, remember you have to carry it! How about food, what strategy did you use. You need a minimum calorie allowance. Yes, I carried the minimum. How did you break those calories down? It’s always a big debate; fat v carbs, dried food, bars, liquid, gels and so on. What did you do? I took advice from Lisa and Meghan and a woman called Susan Hunt who had done loads of research on MDS. I went with what I thought would work for me. That is what you have to do. For me, I did one freeze-dried meal at night, which provided good calories. I rolled out all my food before I went to Morocco and mad it as small as possible and then put it in new bags. I just added water and then put them back in the sun to warm it so I didn’t need a stove. I also took a great deal of calories in peanut oil. It’s oil that lasts (it doesn’t go rancid) and it has loads of calories. How did you carry that peanut oil? I decanted it to small plastic bottles. I had over 1000 calories of peanut oil and I added it to my food. It was easy calories. If I go to MDS again I would take more. It worked really well. So you had 1000+ calories to last the week? Yes, I wasn’t eating 1000 calories of oil a day but I would definitely take much more for another trip or race like this. It’s great; just add to food and it really works. What did you do for breakfast? I had dehydrated potatoes but it didn’t really work for me. I don’t eat a high carb diet anyway so it was a struggle. They tasted great for a couple of days and then I couldn’t stand it. I was throwing my breakfast away, crazy. Yes, so many struggle with what they thought was safe food and then they can’t eat it. I remember Meghan saying she had a favourite bar that she loved. It was a bar she could eat anytime, so she took them to MDS. After day one (I think) she couldn’t face them! It is funny how your palette changes so quickly when under stress. Exactly. I’m not sure how you find out what works though? I think variety is good. You need to play safe to a certain extent. What would be a breakfast choice now? I would still take potato but only for a couple of days and then I would take some other freeze-dried option. On the trail each day, how did you get calories? I ate dried mango. I loved them and I never got sick of it. They were really great. I also had little packets of ‘Vespa’ for amino acid. That helped too. I knew I would burn my own fat for calories. You can’t race on 2000 calories alone so you will burn fat. I didn’t need to eat all that much really. Great point! You have already mentioned you don’t eat much carb so am I correct to assume that you have a low carb and low sugar diet. You look to be fat adapted. Not always but yes, for the last few years I have raced this way. I let myself go a little in the off-season but when I am racing I need to be 100% on my nutrition game. It’s all about balance, running is important but not all consuming. I guess you prepared for MDS when the New Year started, what was training like. 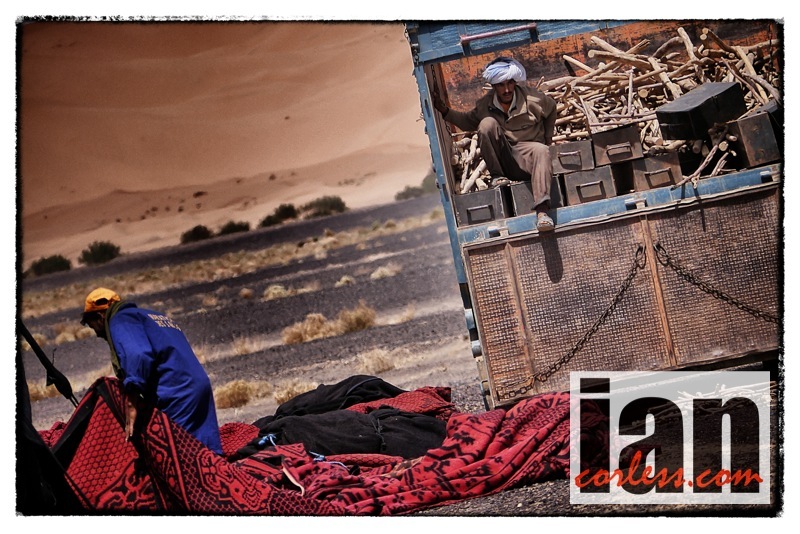 Did you do anything specific so that you knew you would be performant in Morocco? When I signed up for MDS, I got invited to India to do a run. That wasn’t planned so I had to fit that in. This race was in February. 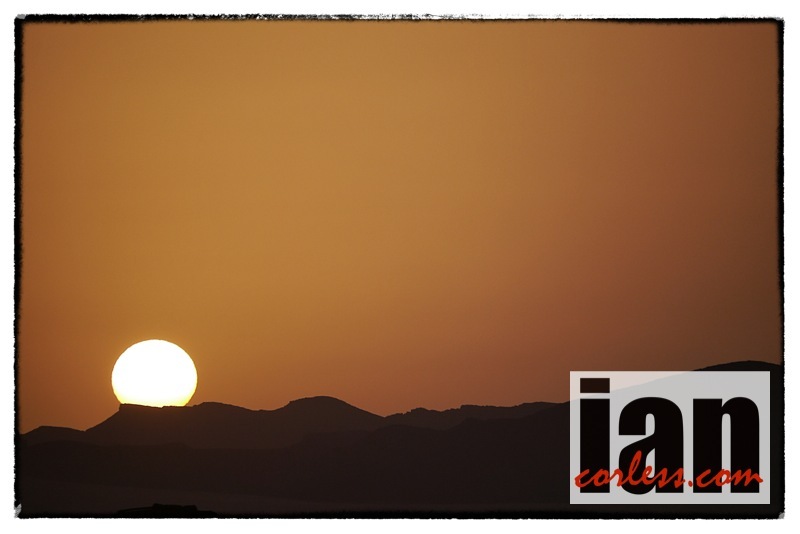 It was a 100km in the heat in a salt desert on the Pakistan border; that was perfect! It was a great jump-start. I had no heat training at all really from that point onwards but I did run in the snow and that worked great. Running in the snow is very similar to the sand and dunes. Yes, sand and snow very similar feel when running. 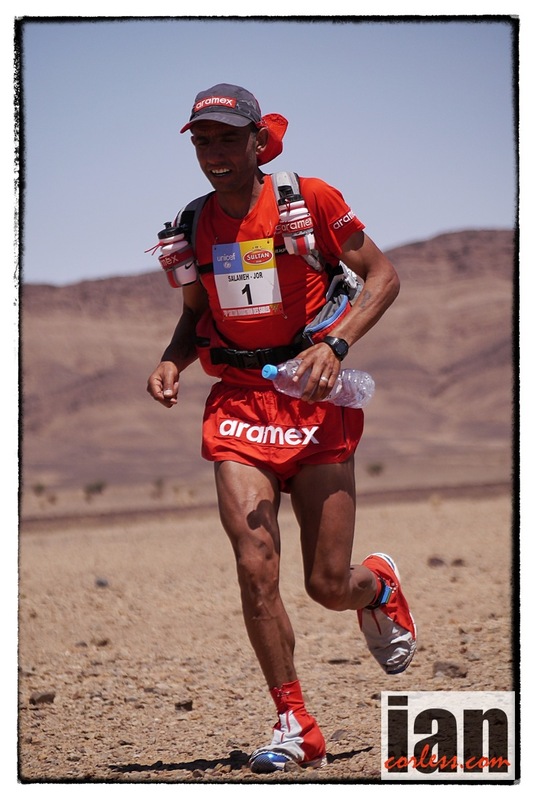 Yes, I have been running in the snow this winter and it has reminded me of MDS. Obviously running in the cold isn’t ideal but snow-running technique was brilliant. I have however always run well in the heat. My Western States performances confirm this. 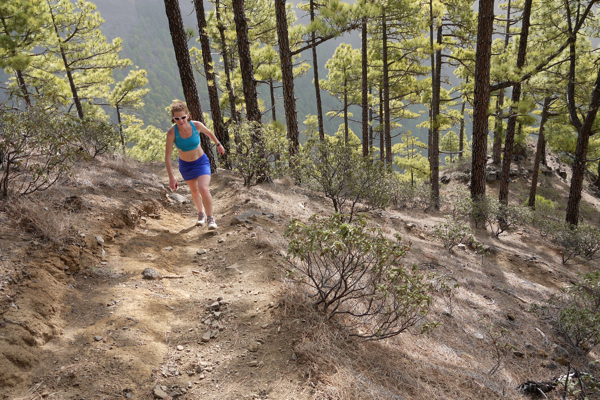 What about back-to-back runs, speed sessions and running with a pack? 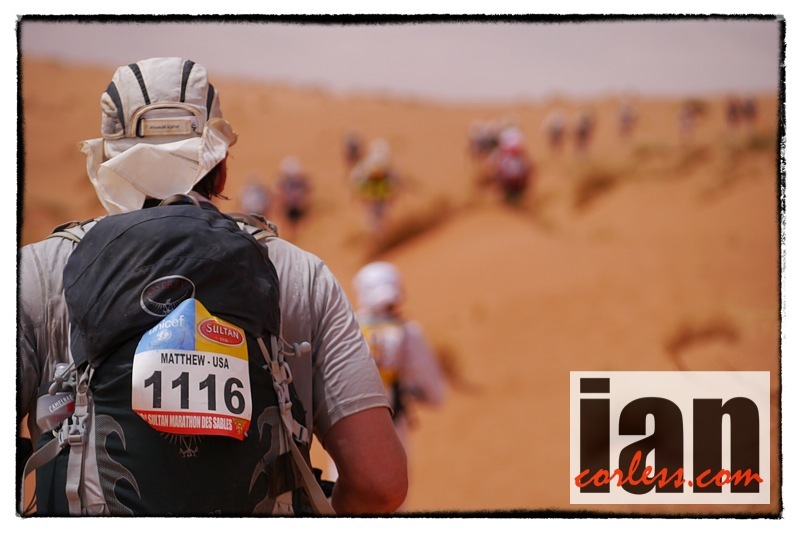 I didn’t run with a pack at all… I had one of those WAA packs and they are incredible. It fit me like a glove. I recommend people train with a pack but I do ski mountaineering and I always use a pack so I don’t need to adapt. I am 100% used to it. I mentioned speed work and back-to-back runs. I guess you have been running so long that running a multi day is second nature? Yes. I did no back-to-backs or speed. I have been doing this running thing for years. You have an incredible running history. You’ve won Western States and UTMB and so many other incredible races, so where does MDS fit. Is it one of the best? Oh yes. It’s up there. It was a surprise for me. I didn’t expect it to be as fun and as challenging as it was. As I mentioned, I was a little depressed pre race and so therefore I was a little down. But the race kicked me out of that and I had a ball. I’d love to go back some day. It was a wonderful learning curve too. I met so many amazing people. It holds a special place in my heart. 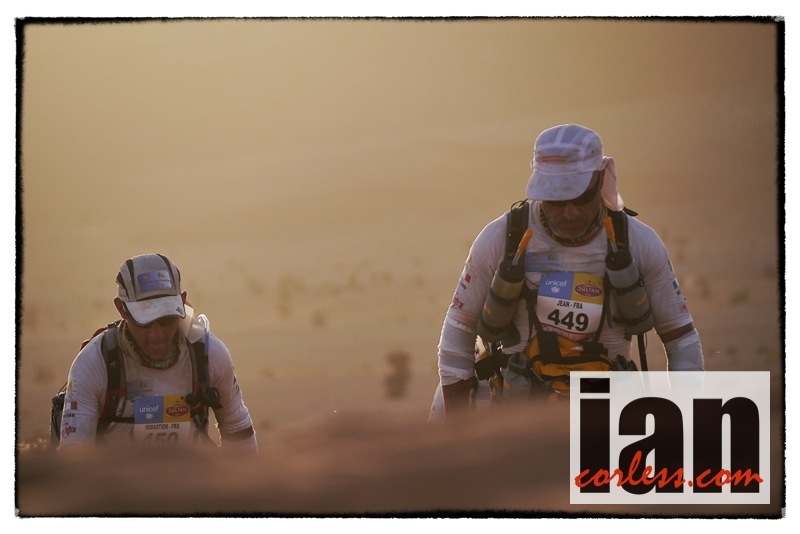 I agree, MDS is quite special; I feel fortunate to witness the race from the outside looking in. Documenting each participant’s journey through images and words. Final question; how difficult do you rate MDS? It’s no easy race if you are pushing at the front. But it’s as easy or as hard as you want it to be. The cut offs are generous and that provides so many with an opportunity, which is great. But if you are looking to be at the front, you have to be fit, dedicated and focused. It’s not the hardest race I have done but it is also not the easiest. 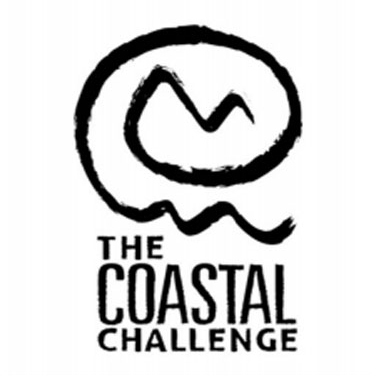 Nikki will race The Coastal Challenge in Costa Rica (HERE) in February and will hopefully peak for the 2015 Western States. 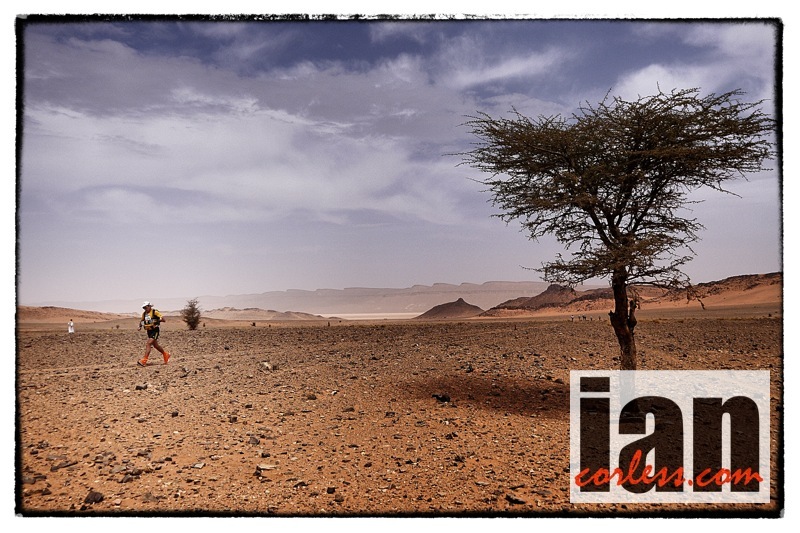 If you require any photography, words or articles re Marathon des Sables please email using the contact form below. 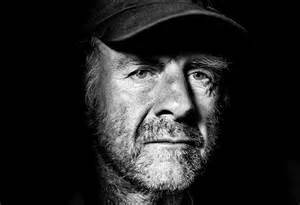 Sir Ranulph Fiennes has been called, ‘The World’s Greatest Living Explorer.’ It’s a difficult statement to argue. Sir Ranulph’s list of achievements is quite incredible. 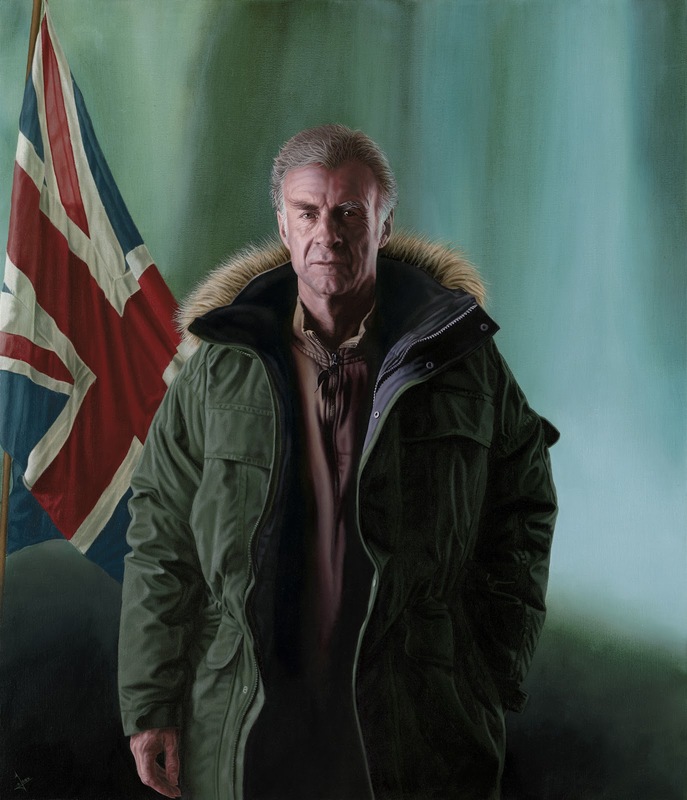 Born in ‘44’ he was educated at Eton, served in the Royal Scots Greys for eight years and progressed to the Special Air Service (SAS) where he specialized in demolitions. In 68’ he joined the Army of the Sultan of Oman where he was decorated for bravery after leading several raids deep into rebel territory. 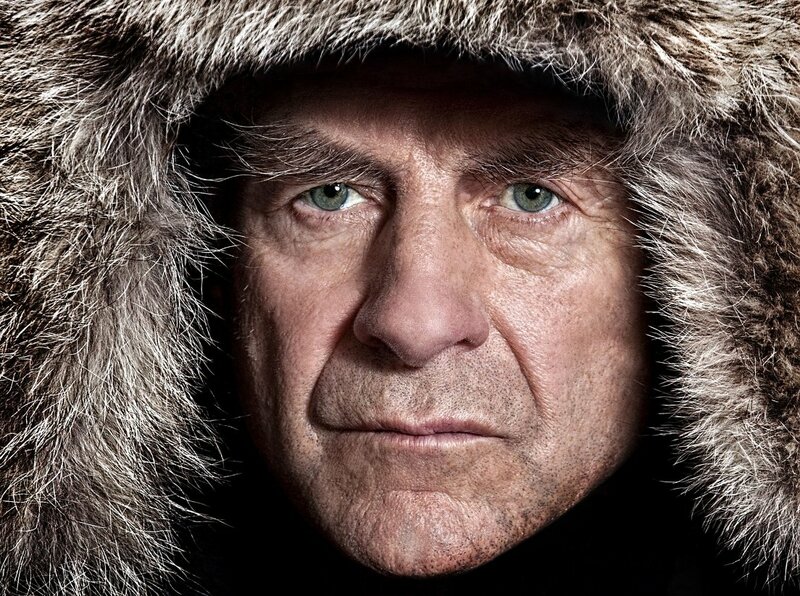 Currently, Sir Ranulph is the only person alive to have to have travelled around the Earth’s circumpolar surface. Continually a pioneer, Sir Ranulph is ever present at pushing boundaries. Ran, as he likes to be known, may perhaps be best known after travelling to the North Pole unaided. Dr Mike Stroud has figured heavily in Ran’s career and amongst many expeditions, two stand out! A 97-day trek across Antarctica in ‘93’ and running seven marathons in seven days on seven continents (2003.) The latter was undertaken just four months after a triple heart bypass. In 2000, Ran attempted to walk solo to the North Pole but his sled fell through thin ice. Exposure to the ice-cold water resulted in severe frostbite and some months later, the famous ‘finger’ incident. 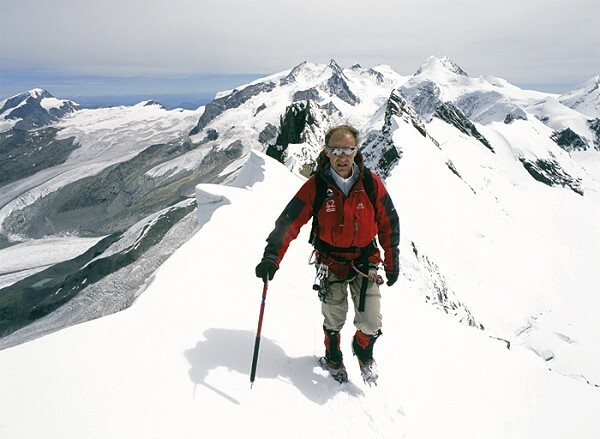 Having been to both Poles and participated in over 30 major expeditions, Ran summited the Eiger in 2007 and at the age of 65 (2009) he pushed the boundaries once more to be the oldest Briton ever to climb Everest after two failed attempts in 2005 (he had a heart attack) and in 2008 when he ‘went a little too quickly’ and exhaustion foiled his attempt. 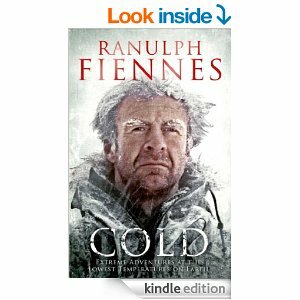 After 5 years of planning, in 2012, Sir Ranulph set off on his latest expedition, ‘The Coldest Journey’ leading the first team on foot, across Antarctica during the southern winter. The expedition was brought to a sudden halt for Ran when in training he removed a glove to attend to a ski binding. Ran was evacuated for frostbite and treatment but the expedition continued without him. 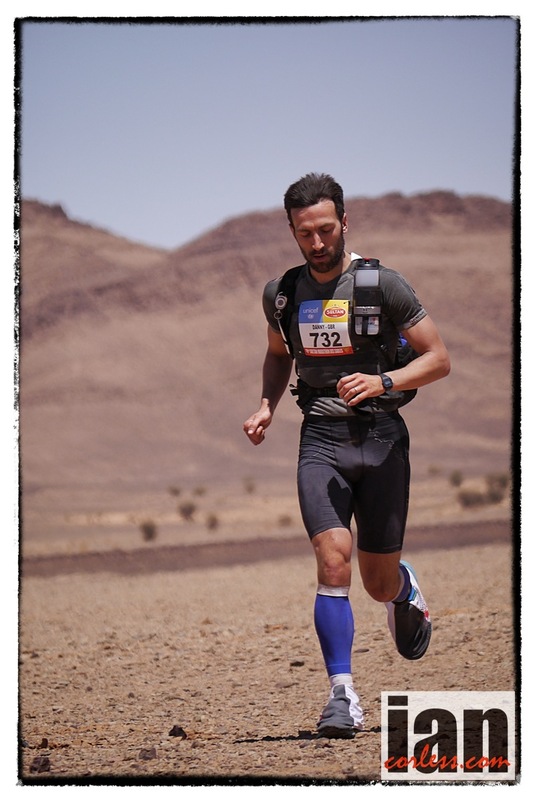 In 2015, Ran will attempt the 2015 Marathon des Sables. 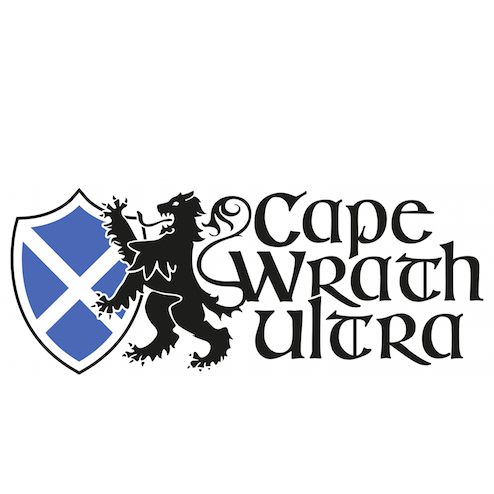 Interview undertaken by Niandi Carmont at ‘The Druid Challenge’ 2-day race in November 2014. 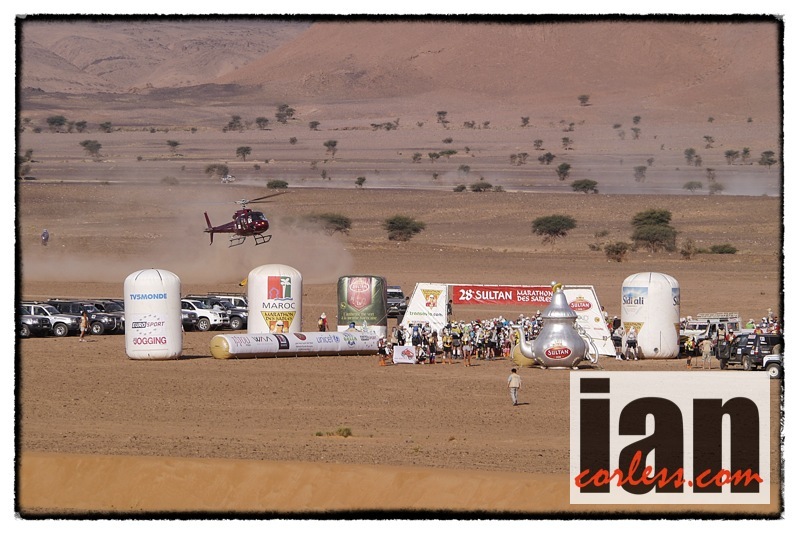 An event both Niandi and Sir Ranulph were using as preparation for Marathon des Sables in 2015. RF: Many thanks for the invite and showing an interest. NC: You hold multiple records, I am a little overwhelmed. You were in the army for many years, did that ignite a passion for adventure? RF: Well when I was in Germany it was the Cold War. We had 60 70-ton tanks facing the German border waiting for the Soviets to attack… but they never did attack. So the soldiers got bored. So, we were made to run, canoe or whatever it may be. I was told I would be the running officer. I wasn’t asked, I was told! I became an expert in a week. I started to train 600 soldiers. We got to be 5th best regiment out of about 80 regiments after 4-years. All the races were 6miles though. NC: Wow an interesting beginning and somewhat unique. What was it like to be the first person to visit both poles? RF: Well, it was my late wife Ginny (married 38-years) who motivated me. Before we married we had done various hot expeditions in the Sahara, the Nile and Arabia. In the 70’s the British press were no longer interested in media for hot expeditions. So, no sponsorship equals no expeditions. Ginny decided we should go to cold environments. We looked at a globe and we decided that nobody had gone vertically between the poles. There was only one route! NC: How long did this take? RF: It took 7 years to get sponsorship. We had 1900 sponsors and raised 29 million pounds. This was in the 70’s! Nobody paid us to get sponsors so we had to work at weekends in pubs to make a living. Eventually Jennies dream was ready to go… we had a team of 52-people who had given up everything. Engineers and so on… we got a 40-year old Norwegian vessel and set off from Greenwich and arrived back 2.5 years later. We were the first to go around the earth surface vertically around the world ever and nobody else has repeated this. More people have been on the moon! So in all, 10 years! NC: Amazing that the record still stands. So remarkable! You were the first person to cross Antarctica on foot? RF: That was the Antarctic Continent? Antarctica changes all the time… I did coastline to coastline: Atlantic to Pacific. We completed the first crossing in ‘79’ but we used skidoos, nonetheless the first crossing side-to-side. But when we crossed the Continent that was 20-years later and that was unsupported. So, what we carried on day-1 was enough for 2000 miles without resupply. That was somewhat problematic but we did do it and we were in a bad way at the end! RF: We ran out of food! I started at 15.5 stone, at halfway I was 9-stone despite eating 5000 calories a day. So we had a daily deficiency of 3500 calories per day. So, we were officially starving. Mike Stroud thought this was fascinating… he is Europe’s top physiologist studying in starvation and muscle cannibalisation, so he was able to study this first hand. It had only been possible to study something like this previously at Auschwitz! NC: You had frostbite. Many have heard the stories about you cutting your fingers off. Are they true? RF: I got frostbite on a solo expedition to the Arctic Ocean. If I had had a doctor with me he would have pulled me out and got the tent out with a cooker on and avoided the frostbite. As it was, because I was alone by the time I had got out of the water… the damage was done. I was too cold too pitch a tent, start a cooker and so on. It was -48. Think about it, it was pitch black on a semi frozen sea, so I went back to the start to find land again and sent a radio message. An amazing Canadian ski pilot landed in the dark on the edge of the coast and he saved me. I was taken to hospital. I had special pressure treatment for 60-hours to lengthen the living part of the fingers on one hand. They cut off about 2-inches of the five fingers on one hand. The other hand recovered. My insurers refused to pay unless the operation was in the UK. I tried to find someone in the UK who knew something about frostbite. Navy divers are susceptible to the bends and apparently they can lose fingers. Apparently they don’t amputate until after 5-months to allow for some recovery. Five months is a long time. Every time you touch something with mummified fingers it hurts… after 2 months my wife and I decided to cut them off. We went to the garden shed. We got a Black & Decker workbench and micro saw. It took 2 days and lots of tea. Apparently a physio in Bristol said I did a great job but my surgeon was less pleased. NC: Did it take courage and did it hurt? RF: No, if it hurt or started to bleed I just moved further away and just made sure the bit I was cutting off was dead. It doesn’t hurt! NC: In 2009 you summited Everest at the age of 65-years; what impact did age have on you if any? RF: This was my 3rd Everest attempt. My 1st attempt had been somewhat risky from the Tibet side and I had a heart attack on the last night after 2-months of acclimatizing. Bad timing eh but I survived! I said I would never go back… but I was told that was a rubbish idea and that I should go from the other side. So my 2nd attempt was from the Nepal side; which is easier. But we still failed as we passed a load of bodies including the father of my Sherpa. We passed a Swiss climber too who had summited without Oxygen but died on the way down with hypoxia. In 2009 it was easy… I guess I understand why I had failed the first and second times. I had been trying to catch up with my British guide the second time. Competitiveness can be a bad thing. When you have had a heart attack you must obey your surgeons advice and not exceed 130bpm. So, in 2009 I took it easy and it all came together. NC: You are obviously endurant and resilient? RF: When I was in my 50’s I enjoyed running a great deal and I had success. 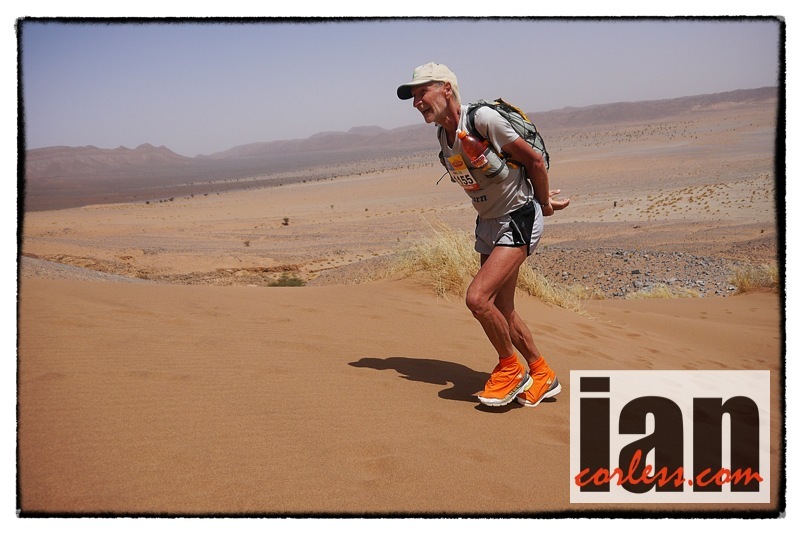 In my 60’s running was no longer an option… I was jogging until about 69-years of age and that was okay, not that I ever went in for races in that decade. Jogging became shuffling and that is very annoying! Avoid geriatric status at all costs. NC: I agree 100%. You have a great collaboration with Mike Stroud – 26-years? RF: Mike comes up with all the ideas. For the last 5-years we have been working on an idea that involved Antarctica. Mike unfortunately had a hip problem. In the last couple of years his other hip went, it wasn’t as easy as the first one so Mike took on all the scientific side. In many ways this is more difficult and that is what he is in charge of now. We are still doing things. There was a time when Mike and I didn’t do expeditions; this was after the Antarctic crossing. We did running races. Mike led an Eco-Challenge team, which must have been one of the first in British Columbia in the Whistler Mountains. 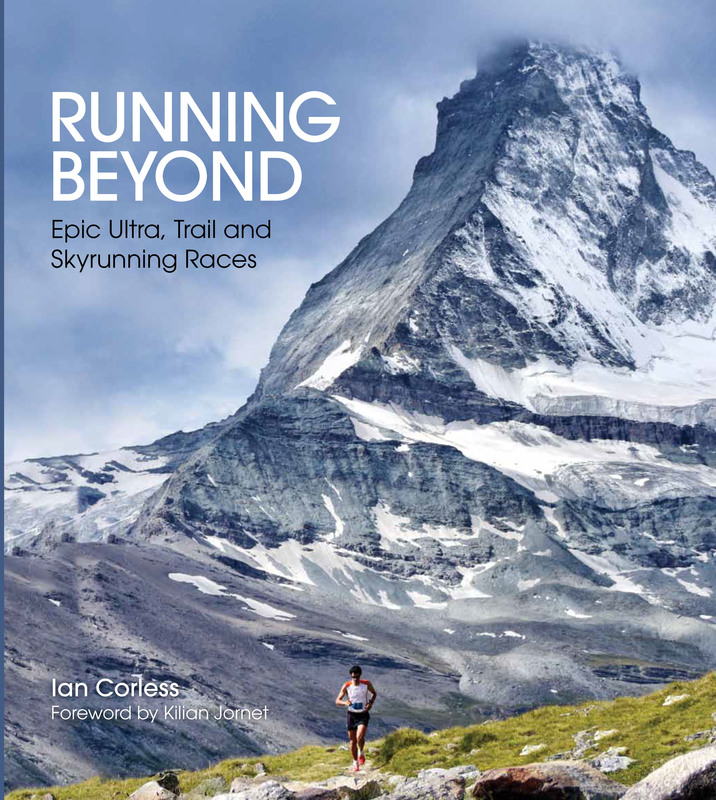 That was very enjoyable… it was a team of five and it included Rebecca Stephens the first the British lady to summit Everest, his Father who was over 70-years, the editor of Runners World and an SAS man, David Smith. Mike put the team together and introduced all of us back to running in 1995. 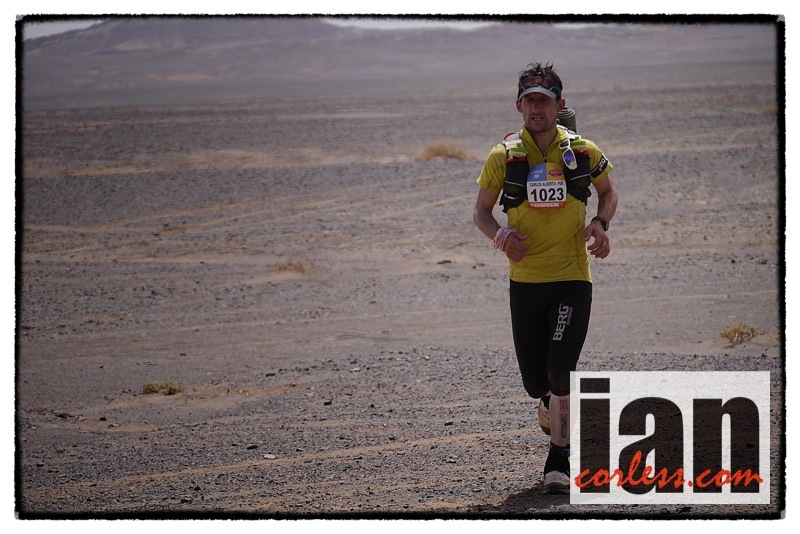 We have also done many events as a pair such as the 7-marathons on 7-continents. NC: He is also a friend, It’s more than running surely? RF: You don’t choose people for expeditions because they are friends. We chose Mike Stroud in the very beginning because I was already in the Arctic. The man I was with was recalled to London and I was left with nobody. I rang my wife in England and said, ‘I need someone in 3-days who is completely ‘polar’ trained.’ Dr Mike Stroud had been a reserve on another expedition and had only just returned from Antarctica after 1-year away. Somehow he pulled it off… he managed to come away on a 3-day turnaround. NC: You obviously relied on your wife a great deal. RF: Absolutely! Since my wife has passed away, Mike has taken on the ‘idea’ role. NC: Can we discuss the 7-marathons in 7-days on 7-continents? “You can run your 26. something miles locally and we will watch them every step of the way,” The CO said. They never saw us off. Funny really. NC: This seems extremely stressful. Running, logistics, last min changes and so on. RF: The BBC and The Times did all that for us. NC: Yes, but it must have been stressful. RF: The 7x7x7 challenge was sponsored by Land Rover and they did everything for us. It was incredible. They did all the work for us and they had cars waiting for us at anytime. 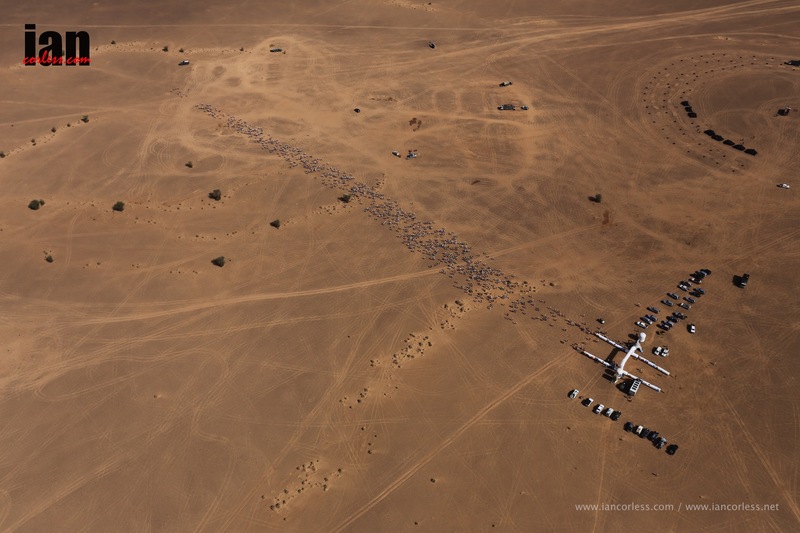 Land Rover and British Airways made this all possible. They had the contacts. NC: Before the 7-challenge you had a heart attack and a double bypass. It’s amazing that you would undertake this. RF: I was on a drip for 3-days and nights, they decided to cut me open and do a double bypass. They just decided to do this! It took 13 attempts to revive me after they sewed me up. When I woke up my late wife said, “Ran you had a heart attack 3-days ago” but I still can’t remember anything! NC: You aborted your most recent expedition, is that the end of cold journeys for you now? RF: We aborted the crossing but we kept the team (all 5 of them) not Mike and not me through frostbite, but we kept all the team for 8-months at 11,000 feet above sea level doing scientific work on each other. It has delighted the Royal Society and all the scientists, we raised 2.3 million dollars for blindness in Bangladesh and I went with Joanna Lumley to Bangladesh to see what they were doing with the money. For £19 they could remove cataracts from babies. Quite remarkable! For £9 they could provide spectacles to children. This means they can go to school and have opportunities in the future. We really need charity PR people to get behind us, the more money we make, the more people we can benefit. NC: What does the future hold for you? 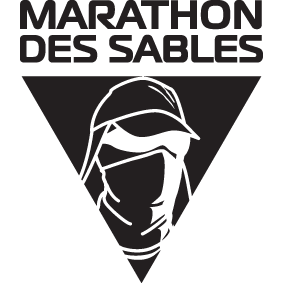 RF: Well, I am not allowed to talk about this until I get the nod, but I will be going to Marathon des Sables in 2015. And I am also writing another book. One book actually came out last week. NC: Can you tell me about Agincourt, your most recent book? 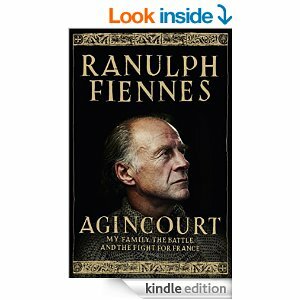 RF: A historian would normally write a book like Agincourt… but it turns out that I am related to Robert Fiennes from the village of Fiennes in the Pas de Calais. NC: What an amazing story? Niandi speaks French to Sir Ranulph and he is taken aback. He also speaks French and they enter into a short dialogue. NC: So you lived in South Africa? RF: Yes, my relatives live in South Africa. I spent the first 12-years of my life in SA. Anyway, we digress. I decided to go to Fiennes and find my French cousins. They were wiped out at the battle of Agencourt and I found out how. One of them was part of an 18-strong commando group with the specific aim of killing King Henry V in the battle. One of them, maybe not Robert Fiennes, got to knocking the crown of his head… Two of King Henry V’s generals, one was a sheriff of Kent in Sussex. He was corrupt man; so corrupt that Henry V1 made him into the Chancellor of the Exchequer. When soldiers came back from France, 20,000 of them attacked London. The King gave the Chancellor of the Exchequer to the mob and they killed him… nasty business! NC: I guess we are going to have to read the book. Sounds like a fascinating story. 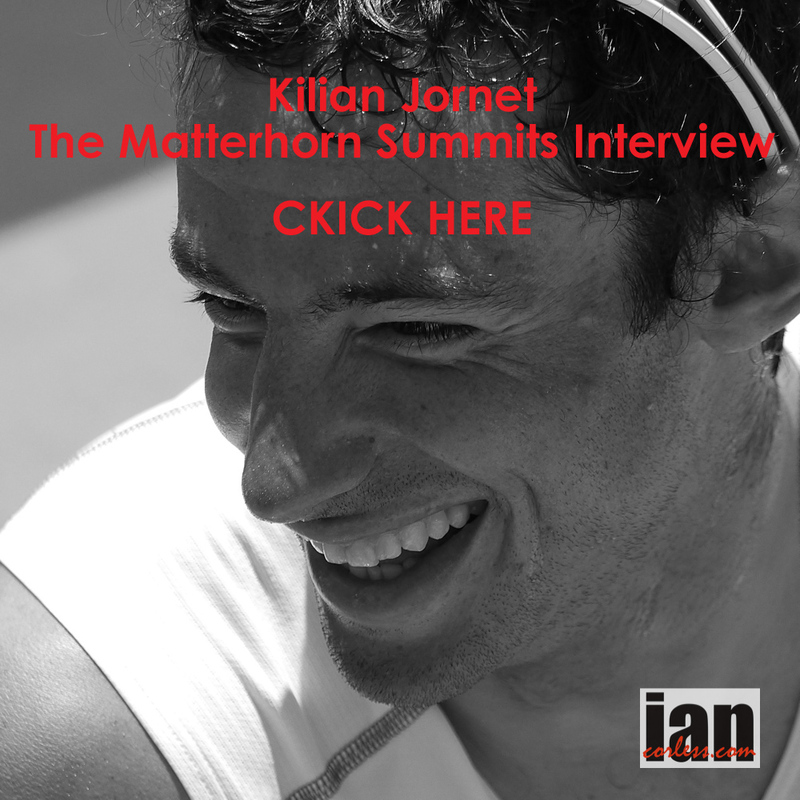 Looking at modern day adventurers, what are your thoughts on Uli Steck and Kilian Jornet? RF: Uli is amazing, incredible… I do not understand how you can go up the Eiger in 2-hours or something ridiculous like that. He is unbelievably amazing. Both of them are just incredible. NC: And what about your new book, what is it called? RF: My new book will be called HEAT. Nice contrast to my other book, COLD. 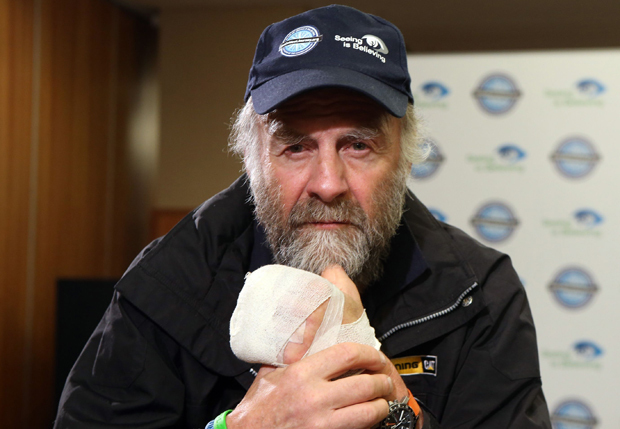 Sir Ranulph Fiennes will participate at the 2015 Marathon des Sables. An announcememt will be made on January 8th. We hope to have follow up interviews with Sir Ranulph to help document this exciting journey. In 1970, Fiennes received the Sultan’s Bravery Medal. Fiennes received the Royal Geographical Society’s Founder’s Medal. In 1994 he was awarded a second clasp to the Polar Medal, having visited both poles. In 2010 Justgiving named Fiennes as the UK’s top celebrity fundraiser, after raising more than £2.5 million for Marie Curie Cancer Care. In July 2012 he was awarded an Honorary Fellowship from the University of Glamorgan. In October 2014 it was announced that Fiennes would receive an honorary Doctorate of Science, from the University of Chester, in recognition of “outstanding and inspirational contribution to the field of exploration”. 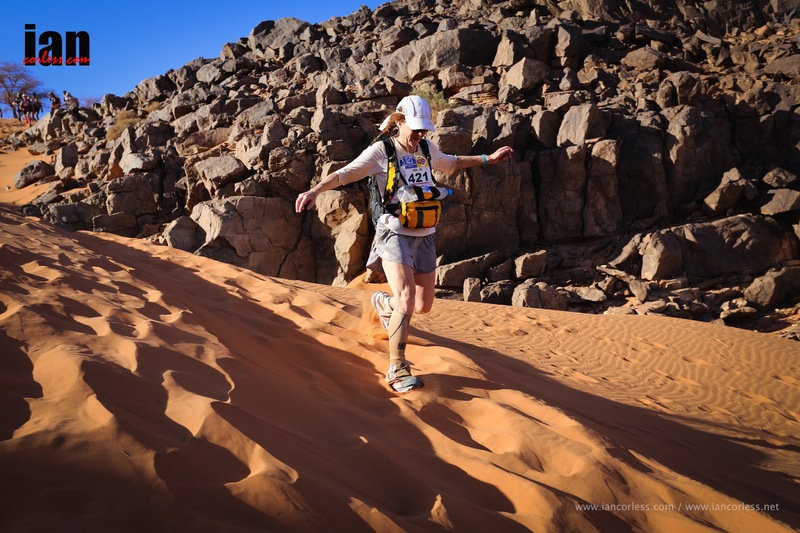 Who, What, Why: Is it harder to run in the Sahara Desert or the North Pole?